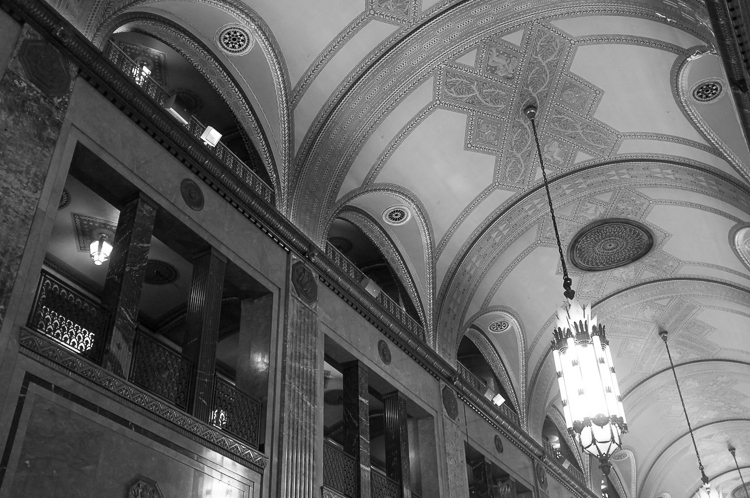 Detroit is rarely in the headlines for its suitability as a road-trip destination, but despite its highly-publicized and very real problems, the city has so much to offer. Inspired by a few different write-ups, we made a long weekend of it recently, driving five hours east before reaching the beautiful, crumbling Motor City limits. On Friday night, we fueled up on pierogies, potato pancakes, and dill pickle soup at the Polish Village Cafe, then holed up in our little studio loft in Hamtramck. We were steeling ourselves for the next day’s forecast of driving rain and unrelenting wind; we had a lot to do, and as self-respecting Chicagoans, we refused to let weather get in the way. As sheets of rain fell around us early Saturday morning, we ducked into Detroit Institute of Bagels for life-giving cups of Anthology coffee, and a rosemary-olive oil bagel piled high with goat cheese, bacon, arugula, and red onion jam. 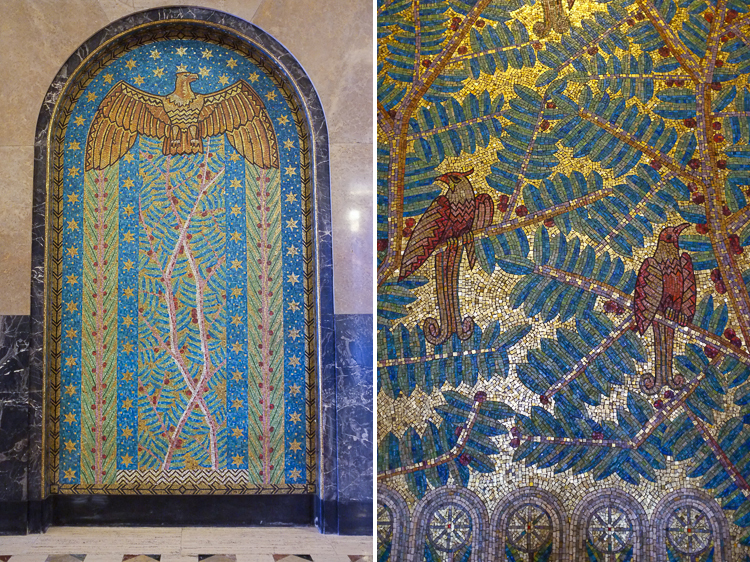 Back in the deluge, we raced to the Guardian Building and found respite from the rain under its awe-inspiring ceiling. We lost track of time wandering the covered sheds of rambling, open-air Eastern Market—which I’ll tell you more about soon—and People’s Records, where we picked up a handful of soul albums to spin back at home. 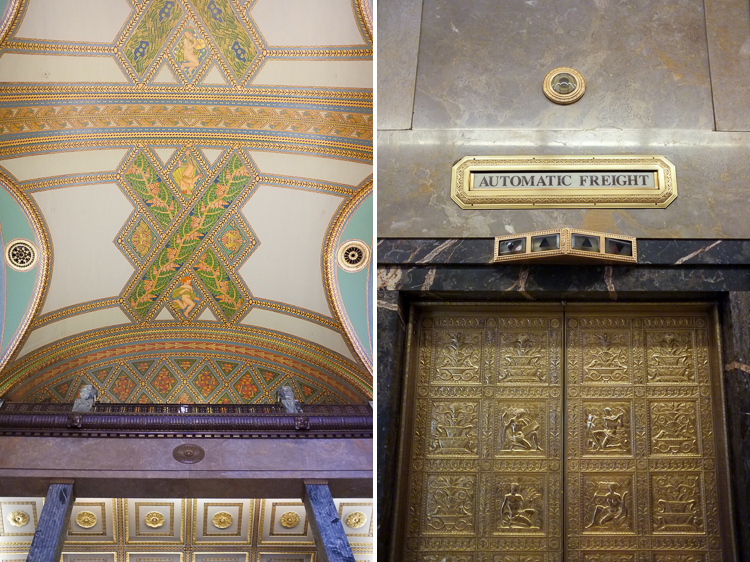 And then came the Fisher Building, for a free tour given by the passionate employees of Pure Detroit. 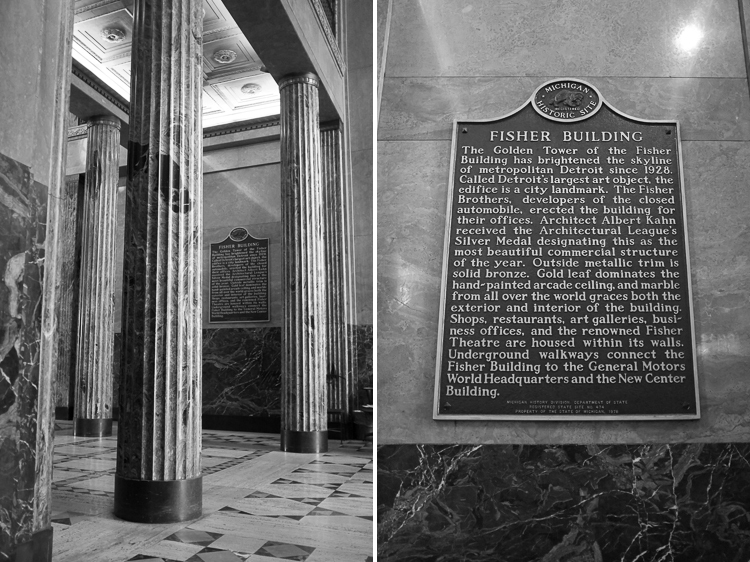 We listened, rapt, to the story of the place billed as Detroit’s largest art object, which to us seemed an indisputable claim. I won’t lie; we were a little bit crushed after braving still more precipitation on the way to the Motown Museum, only to find that their tours were sold out for the day. But the short-rib pizza and sour beer we found at Detroit’s Jolly Pumpkin outpost made almost everything better—even the pouring rain that wouldn’t leave us alone till we were well on our way to Sunday.